Besides the celebration of Love on February 14th, February could be a really boring month! However, there is always a good way of spending your cold, rain, or even snowy afternoons: DANCE! We prepared a great group class program to cope with the winter blues and warm up your body! 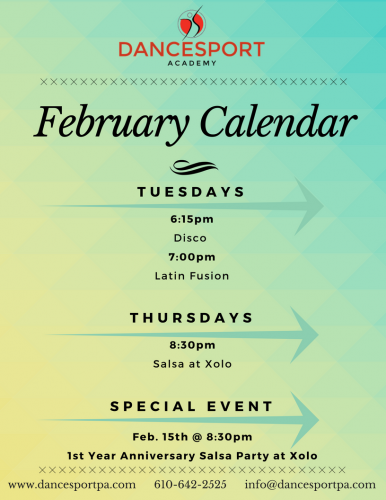 Come and join the fun February at Dancesport Academy!